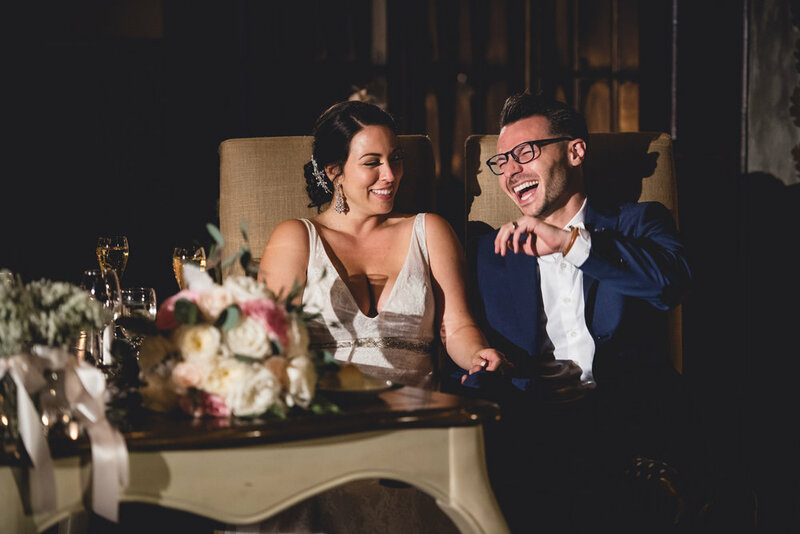 Today we are chatting with our October bride of the month, Aubri Kaufman. 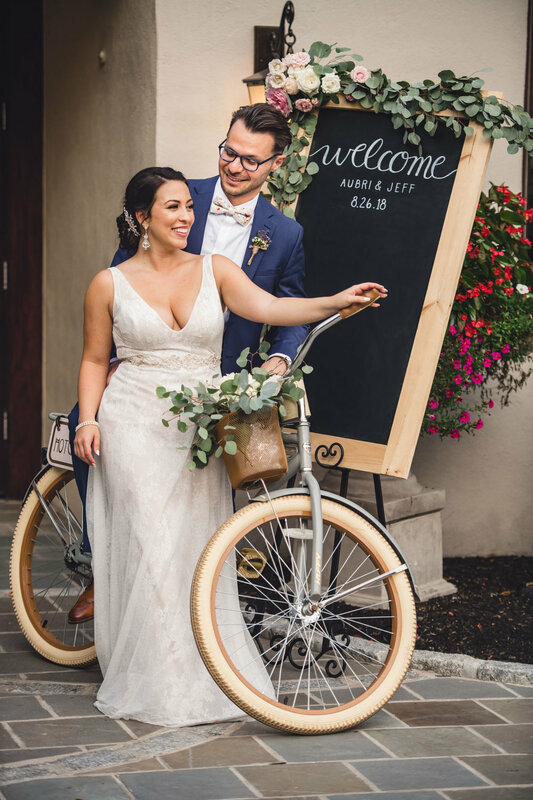 The new Mrs. Kaufman and her husband Jeff tied the knot just a few months ago in August 2018 with a gorgeous celebration at Hotel du Village. We loved designing their watercolor floral wedding invitations, featuring earthy sage and neutral hues with sweet bicycle accents. 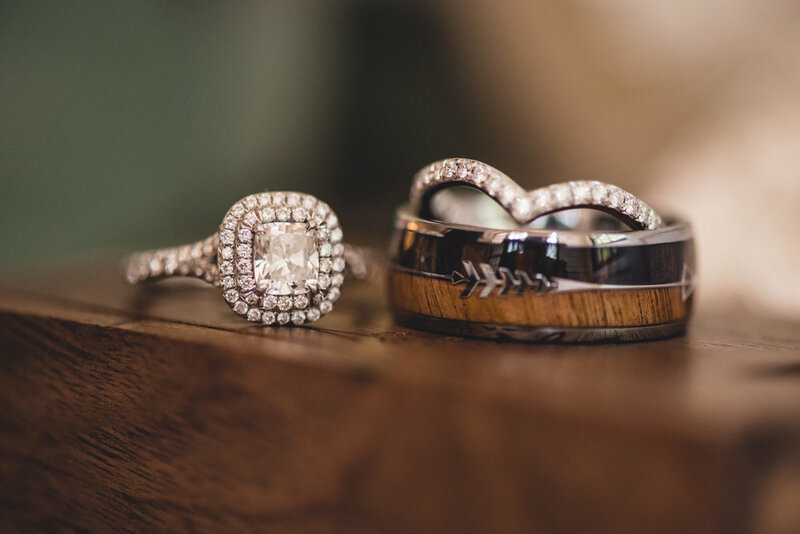 Aubri is sharing all of the details of their wedding day - read on and enjoy these beautiful photos, captured by Moses Cruz Photography. 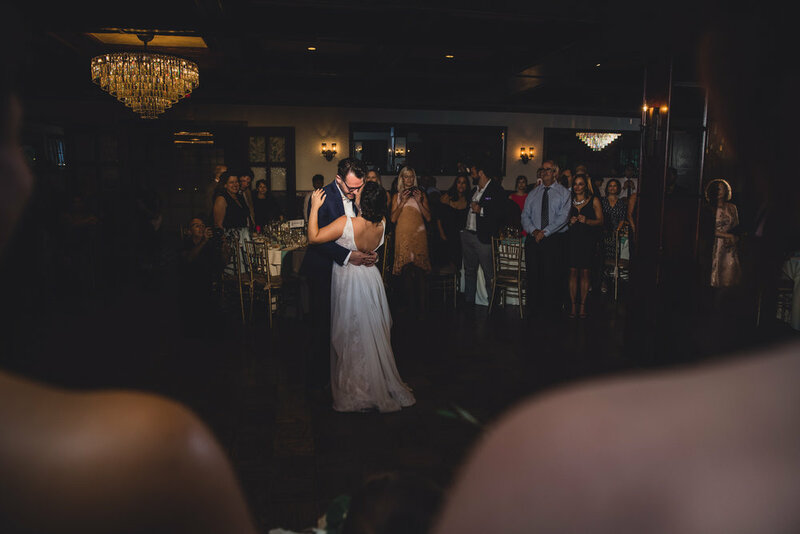 Aubri: Jeff and I were married on August 26th, 2018 at Hotel du Village: a beautiful French country estate in New Hope, Pennsylvania. The entire venue is picturesque, so it made it easy for us to have our first look, ceremony, reception, after party and farewell breakfast/pool party all in one location. Our guests were even able to stay on site in the boutique hotel that’s just a quick walk across the garden. Best of all, New Hope allowed us to have a whole weekend away with our loved ones, giving us that “destination” feel just under an hour from home. The owner is a dear friend of ours, and they own many fabulous locations like The Liberty House and The Ryland Inn, all of which we considered. Once we found Hotel du Village, though, we knew we had found our place. The bicycles were the icing on the cake. Hotel du Village’s unspoken “theme” includes bicycles all over the property, as it just happens to be the location where the owner taught her daughter to ride a bike. Bicycles are sort of a quirky thing that Jeff and I both love (we are both cyclists and like to ride recreationally) and have them as décor all over our house! It just clicked on every level for us. 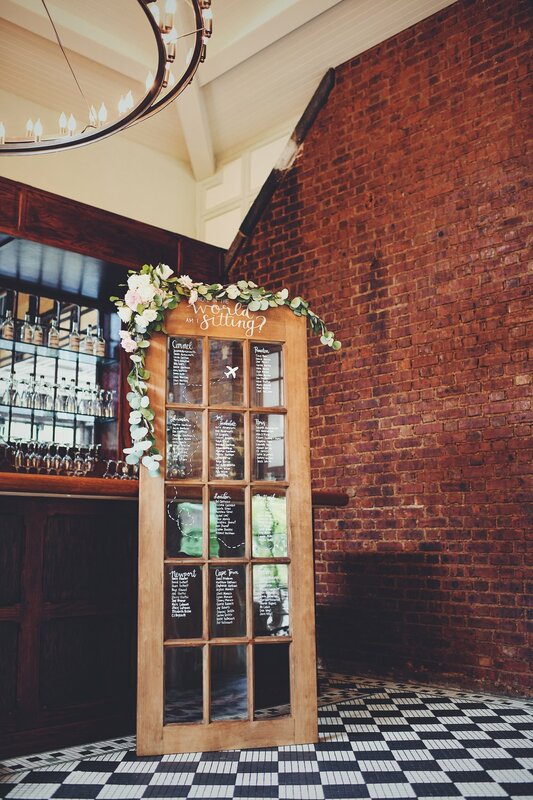 This gorgeous photo of the seating chart was captured by the groom, a photographer for Kaufman Media Group. Aubri: I truly understand when people say their wedding was the best day of their lives. I can’t even think about our day without tearing up. It was absolutely everything we had dreamed of. Jeff and I saved and planned every detail as a team, and I feel so proud to have such a beautiful memory as the product. There are so many magical moments to choose from, but one of my favorites was our vows. It was such a special moment because, for a few seconds, I felt like it was just Jeff and I (despite the fact that all eyes were on us). Looking at my new husband, making promises and feeling the reciprocation is a moment I’ll go back to for the rest of my life. We’re also huge fans of The Office, and both incorporated references into our vows without the other knowing! We still find this fact hilarious. Aubri: As a newlywed, it’s the way it sneaks up on you. We’ve been together for three years and Jeff is my best friend, so for most of the day, it feels totally normal! We’ll be driving in the car together or out to dinner and suddenly I’ll realize, “I’m your wife now” or I’ll introduce him as my husband and it just hits me; “there are no more papers left to sign, there’s no more countdown, I am finally your wife.” It’s the best feeling. Aubri: Rustic, romantic, and Parisian. To be honest, I don’t feel like we chose this; I feel like it just sort of happened! Everything about it was just so “us” that we didn’t have to overthink any aspect and it still ended up being incredibly cohesive. We love the sort of “shabby chicness” to a rustic wedding, but we weren’t necessarily looking for an American country/barn style wedding. Paris is a very special place to us and the last place we went together before Jeff proposed, so the whole Parisian romance theme just reminds me of the love we had started building then that grew into what we are today. Finding a venue that actually describes itself as “French country” was such a fateful, lovely accident. Art Paper Scissors: How did you decide on your watercolor floral/greenery wedding invitations? Aubri: The greenery/floral component was so necessary for us. We didn’t have a color “theme” and instead just went with mixed natural, earthy tones. I wanted that to be reflected in our invitations. Aubri: Have fun with it! You’ll get so many opinions from every direction, and while I definitely recommend keeping your ears open for solid advice, don’t forget that this is YOUR wedding. It’s your time to reflect on all the little things that make you such a great couple, so don’t be afraid to play with those things and talk about them with your designer to see how they translate on paper. Thank you, Aubri and Jeff! We are so happy that you enjoyed every moment of your wedding day. Congratulations!